As residents of Seattle and the Pacific Northwest, we are lucky to live in a region that prides itself on a healthy lifestyle. However, sometimes diet and exercise alone simply cannot address certain areas of persistent excess fat, and this is where liposuction can play a wonderful role. Liposuction can not only remove stubborn pockets of excess fat but it can contour and shape areas of the body to create a more aesthetically pleasing look. 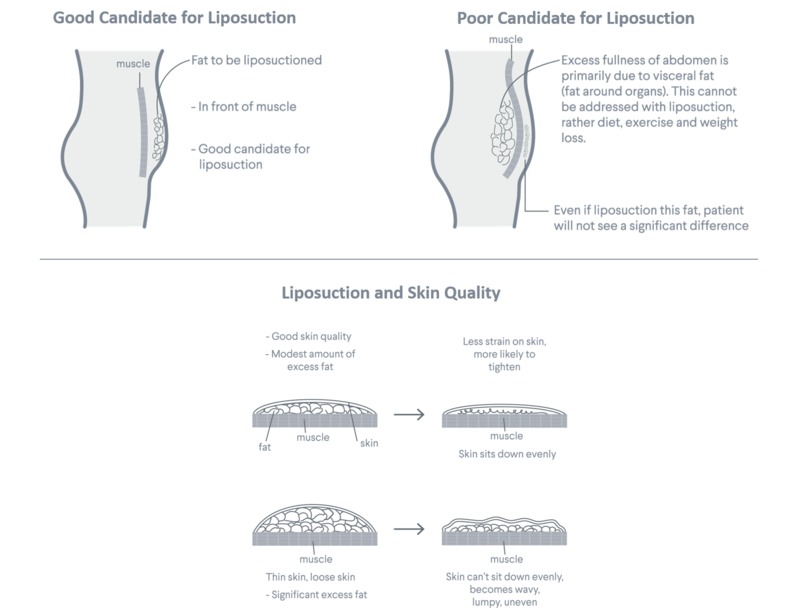 Liposuction, also known as lipo or liposcuplture is the science and art of using various surgical techniques to remove fat and help slim, shape and contour specific areas of the body. Surgeons use a specialized suction technique to permanently remove deposits of fat cells in order to give you a slimmer or more proportionate figure. The term “Liposculpture” is often preferred to “Liposuction” because it implies shaping in addition to simply removing fat. In addition, Dr. Salemy uses various techniques such as ultrasound energy to help tighten the overlying skin, which enhances the final result. This treatment is not the same as other “body contouring” procedures, nor is it intended to be used as a weight loss method. While patients can see dramatic results, the truth is that this is not intended to be an alternative to diet, exercise or bariatric surgery. Understanding what it can help achieve and determining which body area is right for liposuction can be made easier when armed with the right information. If you go into a liposuction surgery with realistic expectations and an understanding of what can and cannot be treated, you are much more likely to be pleased with the end results. Where on My Body Can Liposuction Be Performed? Liposuction is an extremely versatile surgery. Liposuction can be performed on almost any troublesome area of your body and it can even be combined with other procedures like tummy tucks. Dr. Salemy can utilize liposuction on the tummy, hips, arms, legs, buttocks, and under the neck to remove excess fat, tighten the skin, and create a result that is in balance with the rest of your body. 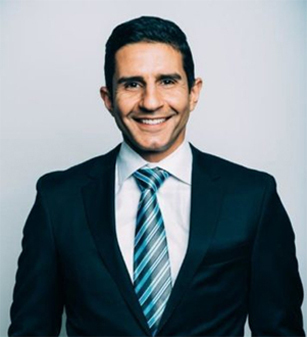 At your consultation in our Seattle office, Dr. Salemy will sit down with you and carefully review your goals. He’ll then examine you and provide you a comprehensive plan for how to best achieve the results you desire. Here are Some of the Most Popular Places for Patients to Get Liposuction. It is incredibly common for patients to request liposuction on the thigh and buttock areas. These are often ideal places for the procedure because they are both areas where localized fat deposits tend to be most stubborn. Liposuction can smooth and slim these areas. Even if you regularly work out, upper arm fat can be difficult to get rid of. Liposuction can eliminate the jiggle and leave you with smoother, more sculpted arms. The torso is a very popular area for liposuction. Whether a patient feels that her breasts are overwhelming the rest of her body, or she has a stubborn layer of belly fat, liposuction is a reliable way to restore a sleeker, more proportionate figure. Despite the number of other cosmetic procedures available for facial rejuvenation, liposuction is still quite popular for eliminating double chins and slimming neck contours. It can be performed alongside a full facelift. What is Involved with the Liposuction Procedure? Liposuction is in most cases an outpatient procedure (you will not need to stay in a hospital) and lasts around 2-3 hours, depending on the area of the body that is targeted. It is performed with local anesthetic and gentle sedation that is administered by a Board-Certified Anesthesiologist. Several tiny incisions, each 3-4 mm in length, are utilized for the procedure, which are almost imperceptible when fully healed. You will wake up wearing a surgical garment and be able to go home within a couple of hours. Recovery varies depending on the extent of the procedure and the individual, but in general Dr. Salemy recommends setting aside 7-10 days after your procedure to recover at home. Dr. Salemy will see you in our Seattle office at regular intervals to monitor your progress, and you can expect your bruising to resolve within 2-3 weeks and most of your swelling to resolve by 4-6 weeks. As with any other medical decision, patients should thoroughly research the plastic surgeons in their area before choosing one to perform liposuction. Narrowing down your list of prospective practices can be daunting, however using the criteria below can help you navigate the decision-making process as you choose the best surgeon for your situation. Look for board certification by the American Board of Plastic Surgery, or ABPS. Check the facility’s accreditation from notable healthcare organizations (e.g., like the American Association for Accreditation of Ambulatory Surgery Facilities, or AAASF). There are many things that liposuction can do to enhance your figure. If this procedure is right for you, it can help transform your entire body and give you the confidence you’ve always wanted. Please contact us today to schedule a Liposuction Consultation in our Seattle office!